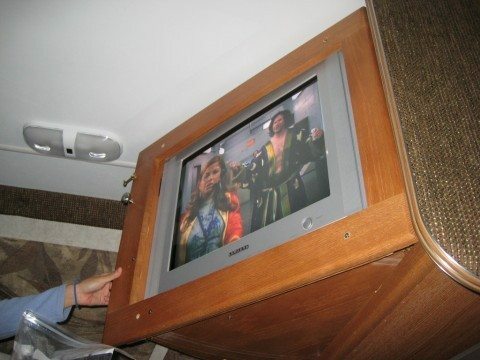 We like to watch movies on the TV in our RV. There’s only one problem, I don’t care to watch the same movies over and over again. Once is enough. And I see no point in paying $10+ to buy a DVD movie. 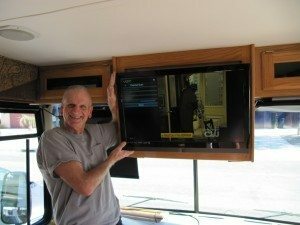 Fortunately, there are some unique options for RVers who like to watch movies (and TV shows & documentaries) — whether you’re a fulltimer or a weekend traveler. 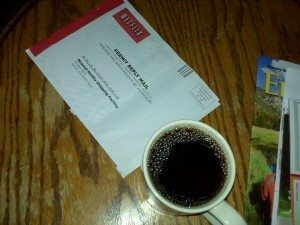 #1 – Netflix is a company that mails you whichever DVDs you want whenever you want them. With a database of over 100,000 movies in 200 different categories, they will send you up to 3 DVD movies at a time for your viewing pleasure. Or you can take advantage of Netflix streaming instead! So, How Does This Work When You’re RVing? For the weekend camper, or short term traveler you can have the movies mailed to your house before you leave town, then watch them at your leisure in your RV. You can keep them as long as you want without fear of a late charge. As soon as you mail one back, they mail you the next movie on your list. As long as you have a mailing address near the place where you’re currently parked (say, if you’re working several months at a time in one location, or you happen to have relatives nearby), then you can keep getting new movies to watch on a fairly regular basis — based on the monthly plan you’ve chosen. The good part is: The turnaround time is usually fairly quick. Netflix usually ships your next DVD within 1-2 business days after they receive the one you returned. So as soon as you’re done watching one, you just drop it back in the mail (in a pre-paid envelope, no postage necessary), and wait for the next movie from your Netflix Queue to arrive! Of course this option only works if you are staying parked in one place for awhile. And you will have to change your address with Netflix every time you move so they know where to send your movies each time. For Short- AND Long-Term Travelers… Streaming Movies! Chances are, whether you’re a weekend RV traveler or a full timer, you’ve probably got a computer or tablet nearby. Most fulltimers these days wouldn’t leave home without a laptop on board. 1st option: As long as your laptop has video and audio connections (most do), then you can hook your computer to any TV that has an audio/video input. This allows you to use the CD/DVD drive on your computer to play movies. And your TV screen becomes your computer monitor! 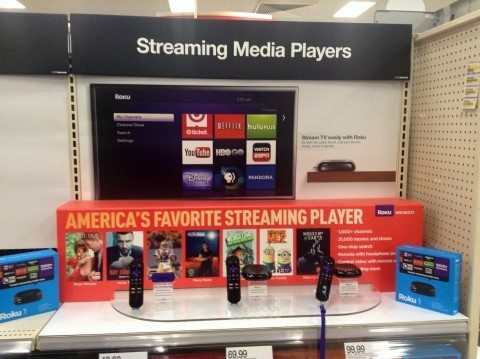 2nd option: You can also stream movies effortlessly, as long as you have high-speed Internet. Since many campgrounds, truck stops, and other locations have WiFi Internet available, it’s a cinch to log on and watch a streaming movie when you’re on the road. It is currently $7.99 a month to watch an unlimited number of streaming movies via Netflix. With streaming movies, you can immediately watch the movie of your choice — no waiting for the postal service to deliver your DVD. Plus, there’s no disc that you have to return. While the Netflix database of DVD movies & TV episodes is well over 100,000, their database of movies & TV episodes that are available for instant viewing currently totals around 10,000. In the end, with so many different packages and options to chose from, Netflix makes it easy to watch as many (or as few) movies as you like each month. Here’s a review of Netflix and their online viewing options. There are currently more than 40,000 movies and TV shows available for streaming. To watch Amazon movies while you’re traveling, basically all you need is the Amazon Instant Video app. With Amazon, you “rent” movies for about $3 apiece. You have 30 days from when you rent to start watching the movie, and once you start watching, you have 24 hours to finish watching. After that, the movie disappears from your video library. In addition to the convenience of streaming/renting movies, Amazon makes it easy to purchase other movies online as well — for a fee. So you’re not stuck with watching only those movies which Amazon sees fit to make available via streaming/renting. Also, the way their movies are categorized, rated, and sorted makes it super simple to find movies quickly — for streaming, renting, or purchasing. Here’s a review of Amazon Instant Video. #3 – Redbox is another good alternative for RVers. With this DVD rental service, there are over 34,000 Redbox locations where you can pick up (or drop off) a movie — all across the U.S. They typically have about 200 new release movies available in each kiosk. Pay $1.50 per night per movie. And return the movie to any Redbox location (doesn’t have to be the same one you got the movie from). You can keep each movie up to 17 days for $1.50 a day. (After the 17th day, the movie is effectively yours, and your credit card is charged $25). 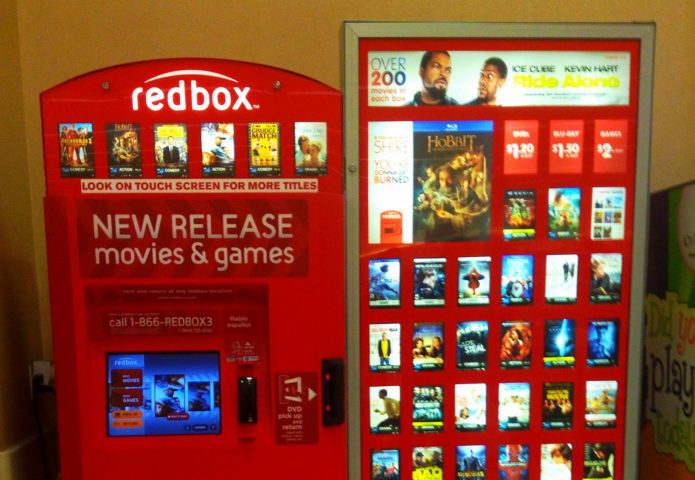 Redbox kiosks can be found at many grocery stores, pharmacies, and department stores, as well as a number of restaurants (like McDonalds, who initially funded the project) across the United States. You can even “reserve” or request the movie of your choice at a specific Redbox kiosk, so you can be sure that movie will be available when you arrive at that Redbox location. Here’s a review of Redbox DVD rentals. For streaming movies, you’ll definitely need high-speed Internet. Otherwise, your movies will pause to frequently to be enjoyable. If you have an iPad or some other tablet, all you need is the Netflix app or Amazon app to stream movies right to your device. No cords or cables are necessary. If you have a newer TV on your RV, then it will be very simpler for you to watch streaming movies using the above services — because most newer TVs come pre-loaded with the “player” that’s necessary to watch streaming movies. 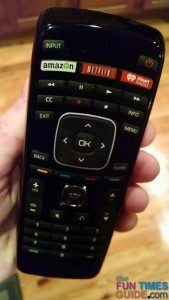 Simply click a button on your remote, and you’re instantly taken to the movie screen of your choice! If your TV is an older unit, then you’ll need a Blu-ray player or a 3rd party device like a Roku or Chromecast (and high-speed Internet) to watch streaming movies.